Lahaina, a seaside town which sits along HWY 30 on Maui’s Westshore, offers a vacation experience all its own. 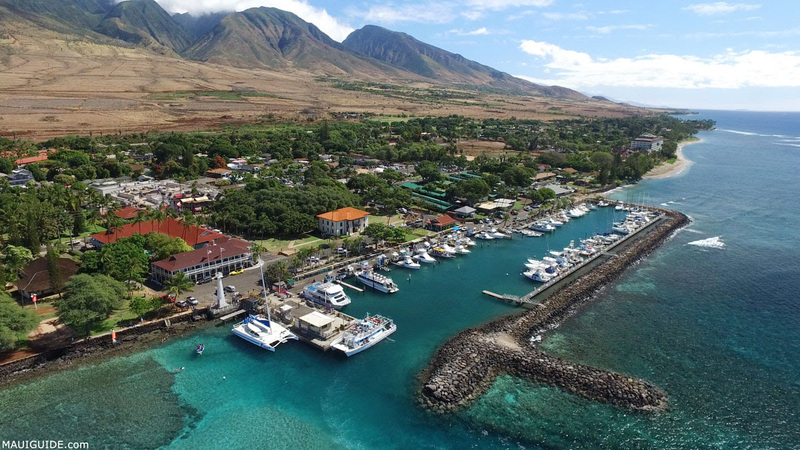 Dining, shopping, history, art, nightlife and even surfing and boat excursions from Lahaina Harbor are available in this fun and charming spread. Lahaina Le Le), meaning relentless sun, was the capital of the Hawaiian Kingdom until 1845. It was a much wetter environment than the dry Lahaina we know today. In fact, the royal household lived on a recently re-discovered small island in the middle of what was once a 17-acre lake. The island that was unearthed, Moku’ula, holds great cultural significance and is part of an ongoing archeological project. With the arrival of the European explorers came much change. Mangos were brought to the islands in the early 1800s and thrived heartily in the wetland environment. You’ll find some still scattered throughout the town, and some residents offer up their juicy candy-like fruit in curbside stands. Just pop a dollar in their “vacation fund” jar. As more ships arrived for trade, they began to take note of the humpback whales that came by the thousands to the tropical Maui waters to mate and give birth each year. The town became a hub of whaling activity; and the once calm sunny coast, became a raucous and tawdry area full of sailors. This, of course, became a point of contention for the Christian missionaries who had settled in the area. In time, the waters of marshy Lahaina were diverted by the next big industry – sugar cane. Sugar cane, pineapple and also coffee became big enterprises. A further influx of migrant workers arrived from mostly Japan, China and Portugal to work these plantations. Thus the landscape was forever changed.